← TRC #451: Does Paper Burn at 451 Degrees Fahrenheit? + Did Humans Migrate To The Americas 130K Years Ago? + Does Wearing Red Make You More Attractive? Mount Everest The Tallest Mountain? Live Science: Which Mountain Is The Tallest In The World? 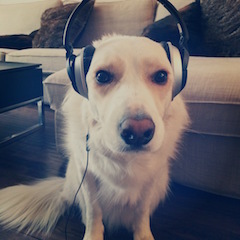 Does Music Calm Your Canine? Avril Lavigne morreu e foi subsituida! This entry was posted in The Reality Check Episodes and tagged Avril Lavigne, conspiracy, dogs, Mount Everest, mountain, music, pets, tallest. Bookmark the permalink. How could you guys miss the older conspiracy with Avril Lavigne? Everyone knows Avril Lavigne is a shapeshifting reptilian. I have seen it on the internet, so it must be true! If you ignore this then this means Reality check has sold out to our reptilian overlords. It makes perfect sense when you realize she married the lead singer of the most hated Canadian band of all time, Nickleback. Or as many have called them, Nicklecrap. What was his name? Kroeger? Freddy Kreuger? What a nightmarish union of the unholy! Good podcast, but you got to stop accepting donations from the Illuminati or it’s going to affect the quality of your show.